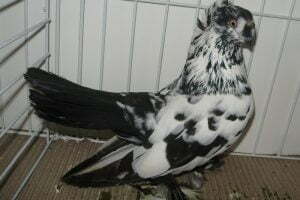 The Rzhev Ribbontail – also known by names: Rzhev Startailed, Culbutant de Reshew, Rschewer Sternschwanztümmler, Capitombolante a Coda Stellata in Rshev, Ржевский Ленточный Турман – is a varietal originating from the Rzhev kora, northwest of Moscow (Russia) , which has been developed since the early 19th century. 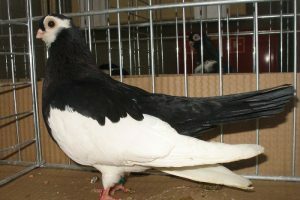 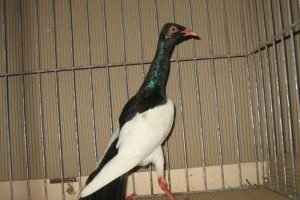 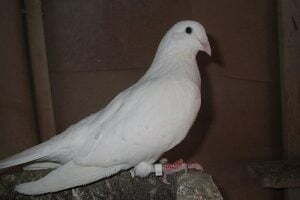 The variety belonging to the Russian tumbler pigeons type is one of about 170 Russian domestic pigeon races, which has been very popular in many countries, especially in Europe, then in the United States. 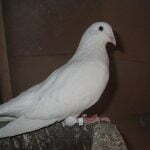 This variety is an ancient race, and has a very long developmental history, thus gaining its present form. 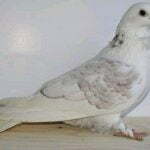 Has good flying skills, but its development is now almost entirely aimed at improving the quality of performance.